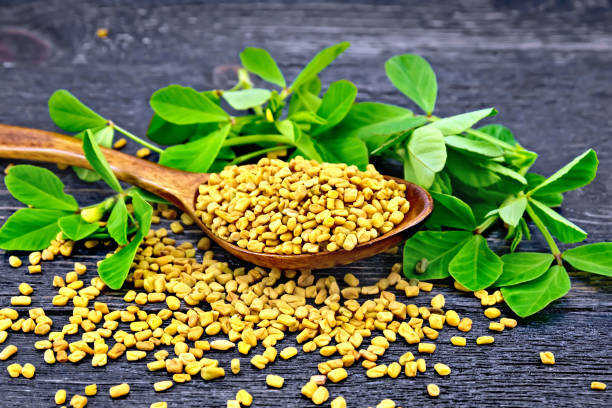 In this post, I’m going to share with you a list of the five most tested and successful fenugreek substitutes that really work and are going to add nearly the same flavor as that of fenugreek seeds or leaves. 3.1 Fenugreek Seeds or Fenugreek Powder? 3.2.4.1 Can you Use Fennel Instead Of Fenugreek? Fenugreek is very difficult to substitute, however, with the right flavor profile and spice combination, this can be achieved, to some extant. Here are the fenugreek seeds I buy, they are excellent! The thing you have to understand about fenugreek is that it’s very hard to substitute as it has a strong and spicy flavor that’s very difficult to replace even when combining many spices and ingredients. However, the fenugreek substitutes you are going to learn about in this post are going to make your recipes smell and taste as if they were prepared with authentic fenugreek. Fenugreek is a very versatile plant; it can be used both as an herb and a spice. Fenugreek leaves can be used fresh, dried, or even frozen while retaining their flavors and can be used as leafy vegetables, however, fenugreek seeds can cook for a much longer time and thus infuse their flavors to other ingredients more. To get the most out of fenugreek seeds when cooking, you should pan roast them to reduce bitterness a little before using them. Fenugreek is widely used in different cuisines, for example, Indian cuisine relies a lot on fenugreek especially in making spice blends such as garam masala or curry. It is also widely used in Middle Eastern, African and North African cuisine; it’s also a main spice blend ingredient in many countries such as Ethiopian cuisine. To describe fenugreek flavor is a bit complicated, however, what you need to understand is that it has a slightly sweet taste, with a nutty aroma as well, in fact, fenugreek is the perfect bittersweet counterpart. People are often going to describe the taste of fenugreek as a mixture between sweet and nutty flavors mixed with celery and maple syrup; in fact, fenugreek is rich in a chemical compound called soloton, which is the one responsible for giving fenugreek its very distinctive flavor. One more very important thing, when cooking with fenugreek, always start with a small amount as using too much will result in a bitter taste. 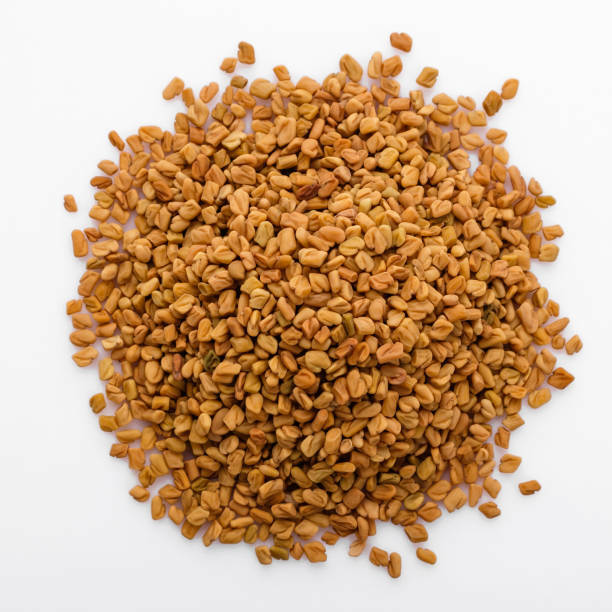 Fenugreek is not spicy; it has a sweet and nutty flavor, especially if slightly roasted before use. However, for many people, because they are going to use spice blends that contain fenugreek seeds or dry fenugreek leaves, they are going to associate fenugreek’s taste with spiciness. But if you taste fenugreek on its own, it’s absolutely not spicy; it resembles the taste of very strong celery drizzled with maple syrup. I’m going to divide these substitutes into two categories, fenugreek seeds substitutes and fenugreek leaves substitutes. In the coming sections, I’m going to share with you the five most used and tested fenugreek substitutes you can use. Whenever I’m making a curry dish, which is usually Saturday evening, and I don’t have fenugreek nearby, which is very rare, I will use one of these ingredients, especially the first two, maple syrup and curry powder. However, the third ingredient, yellow mustard is also very close to fenugreek seeds in terms of taste, although a lot of people are going to think otherwise. I have also divided these substitutes into two categories, ground fenugreek seeds substitutes and fenugreek leaves substitutes. Fenugreek Seeds or Fenugreek Powder? I asked myself this question over and over when I first started using fenugreek in my dishes, I thought that both had the same effects on my cooking, well, I was completely wrong. Before grinding your fenugreek seeds, they are going to have a very faint fenugreek aroma, using them in their whole form, without grinding them is quite easy since they are not going to overpower your dishes a lot, however, once you grind them, they are going to literally change the flavor profile of your dishes very fast, so, always use as little as possible otherwise, you are going to end up giving your dishes a slightly bitter taste. In a later section, I’m going to show you what to use in order to replace fenugreek leaves, but for now, I’m going to reveal to you the most important fenugreek seeds substitutes you can use that are available yearlong and can give you a similar taste to that of fenugreek seeds. 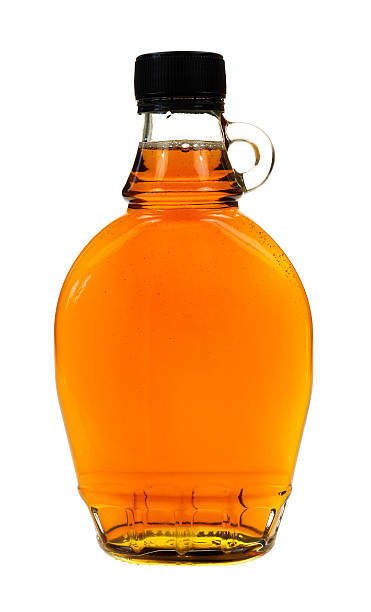 Maple syrup is single-handedly the best fenugreek substitute from my experience, it’s extremely close to its taste and aroma. Both fenugreek and maple syrup share a common chemical compound called sotolone as mentioned before, it’s the one responsible for the distinctive fenugreek and maple syrup aroma. Adding one tablespoon of maple syrup to your dishes will give them a distinctive fenugreek aroma, but it will fade very quickly, this is why you need to only add maple syrup at the end of the preparation. However, be careful, maple syrup tastes very sweet, so, if you are making a salty dish or anything spicy, it will literally change the way your food taste. Maple syrup is in my opinion the best substitute for fenugreek, and although many articles are going to suggest combining it with mustard seeds for example or other spice, I really feel that using it alone at the end of your dishes is going to do the trick and is largely going to overpower their aromas with the distinctive fenugreek taste more. You may not know this, but curry powder contains powdered fenugreek seeds. Adding curry powder to your dishes will give them a distinctive fenugreek taste; however this aroma is going to be weak because of all the other overpowering spices present in curry powder. Always look for freshly made curry powder as the fenugreek aroma tends to fade away very quickly. A great tip to using curry powder as a fenugreek replacement is cooking it first. For example, if you are making butter chicken for example, it will be a great idea to add the curry powder first and to cook it a little bit with olive oil or butter for example, as the flavanoids found in fenugreek will stick to the fat in the oil or butter and give you a long lasting fenugreek taste. This will reduce the strong aromas of the other spices in curry powder. Yellow mustard seeds are very spicy and flavorful, but when used in small quantities, they can be a fantastic fenugreek alternative. Here is a little recipe I’ve used in the past: take half a teaspoon of yellow mustard seeds, crush them and heat them a little, this will reduce their overpowering aroma and make the taste similar to fenugreek seeds. You can also use them as suggested in this post: https://rawspicebar.com/blogs/spices-101/fenugreek-substitute , by adding a pinch of maple syrup. I have tried this fenugreek substitute in cooking many dishes, it has a great flavor, and I think it can be a great replacement as well, but only use a small amount of mustard seeds as they are very overpowering. Fennel seeds, in my opinion, are sweet tasting and a little overwhelming, but some people have successfully used them in place of fenugreek seeds and they seem to be quite popular. Can you Use Fennel Instead Of Fenugreek? I don’t think they are a great substitute for fenugreek, because the aroma is totally different, but if combined with maple syrup for example, they are going to add a wonderful savor to your dishes. It’s a bit close in taste, but it’s not a very reliable fenugreek flavor substitute. 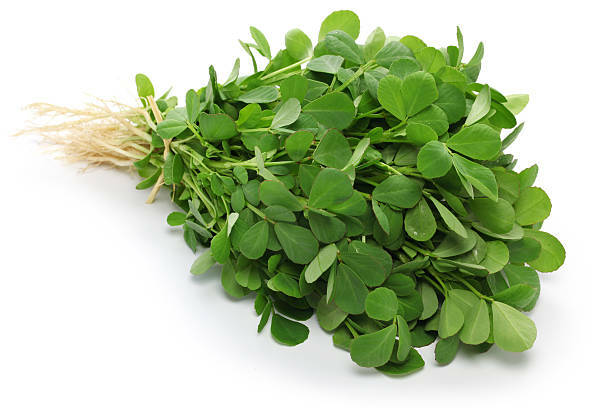 It’s very easy to substitute fenugreek leaves if you have dry seeds available, or maple syrup. If you need fenugreek seeds, please get them from this link! I’m not going to talk here about fenugreek powder substitutes, what I’m going to talk about here are substitutes to fenugreek leaves. They are a bit strange to use instead of fenugreek leaves, however if you are planning on preparing Indian dishes, you will certainly need them. A great way to obtain the same texture and a resembling aroma to that of fenugreek leaves is to use spinach for example. However, this substitution will not work if you do not have fenugreek seeds, as spinach leaves are going to be overwhelming, the best thing I’ve found is to grind some fenugreek seeds and add them while the spinach leaves are cooking. Of course, if you don’t have fenugreek powder or seeds available, you can use one teaspoon of maple syrup, it will have the same effect as well. This will make the spinach leaves taste similar to fenugreek leaves. In the comment section below this post, Ann has suggested wild alfalfa as a viable fenugreek substitutes, however, I have moved mountains in order to find it and use it, I couldn’t, I even tried shopping online with different websites, no luck! I have tasted alfalfa sprouts in the past, and I still remember that there were many similarities between their taste and that of fenugreek, especially fenugreek sprouts, however, since I haven’t tried this fenugreek substitute myself, I will let you decide for yourself, if you ever find wild alfalfa sold, please, use it in your dishes and see for yourself whether it’s a viable fenugreek replacement or not. These five fenugreek substitutes, plus the bonus one, are proven to work and will make your dishes smell and taste of fenugreek. If you know other substitutes, please share them in a comment. Wild alfalfa if you can find it. They are related plants. Thanks, but it’s very rare in shops! The internet is the only place to find it where I live!!! Thank you … this is the information I am looking for..